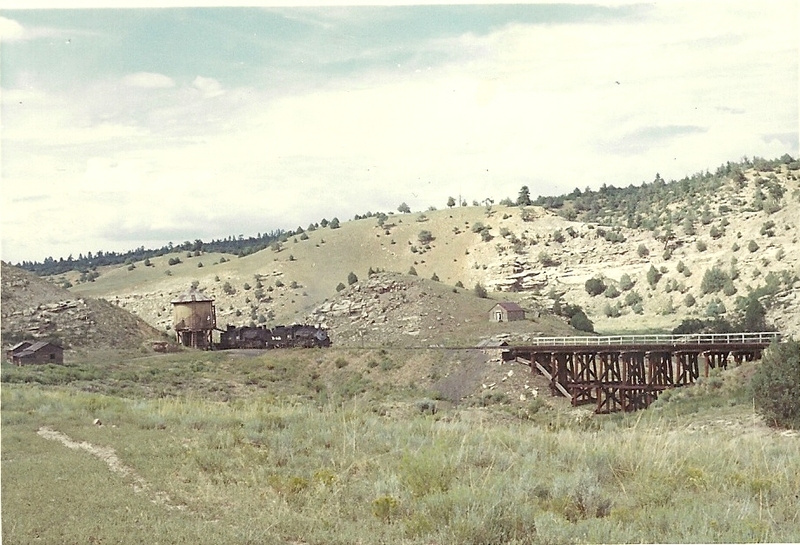 Narrow gauge freight operations to Farmington were shut down for six weeks in the summer of 1966 due to problems/repair with the road bed. The branch was finally restored to working status on August 10. Thursday, August 11-- 483 ran to Farmington and picked up about 70 empties. Due to the heavy train and a lot of weed growth the return was very slow. 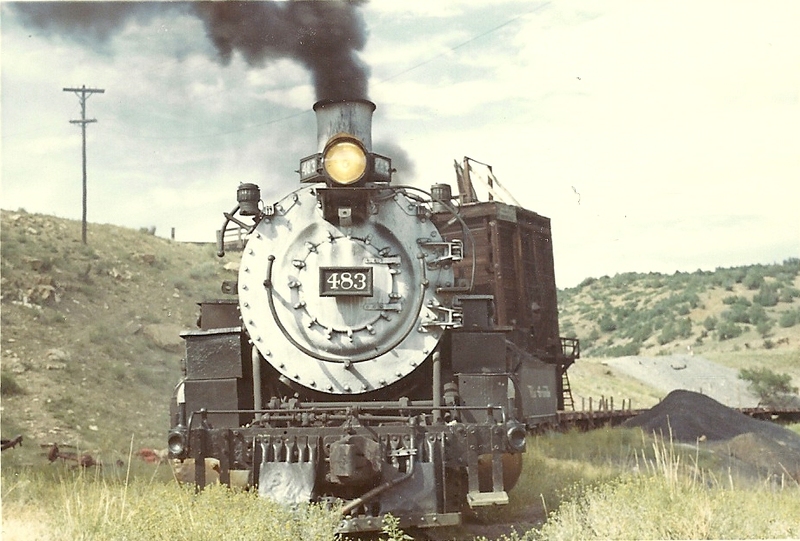 The crew finally left the train somewhere between Bondad and Posta and the crew returned to Durango on 483. Friday August 12-- 483 backed down the branch and took the train in 2 sections to Carbon Junction. As luck would have it I got off Graveyard shift at Climax Molybdenum at 8am for a long change weekend. 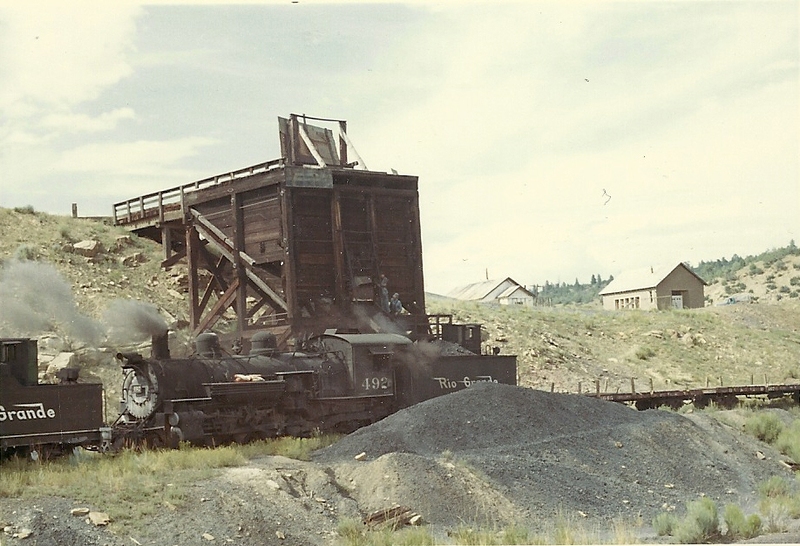 I drove straight from Climax to Carbon Junction and caught 483 bringing in the first section of the train, then backing down to get the second section. No pictures yet, I need to get the slides scanned for a later posting. Monday, August 15 -- 483 and 492 took a long string of cars to Chama. I set up at the highway crossing just short of Falfa, and waited for the train. 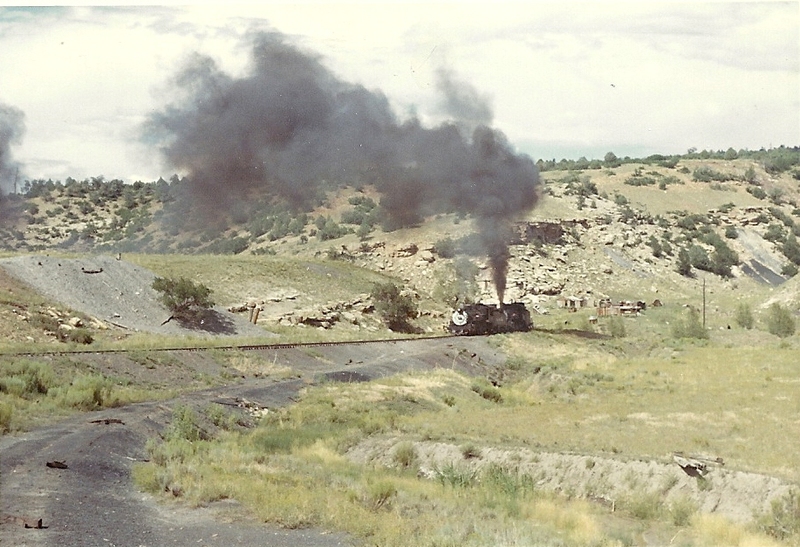 There was lots of smoke and whistling a mile or two east of Carbon Junction, but no train. It finally did arrive with bags of sand stacked on the running boards of the engines. 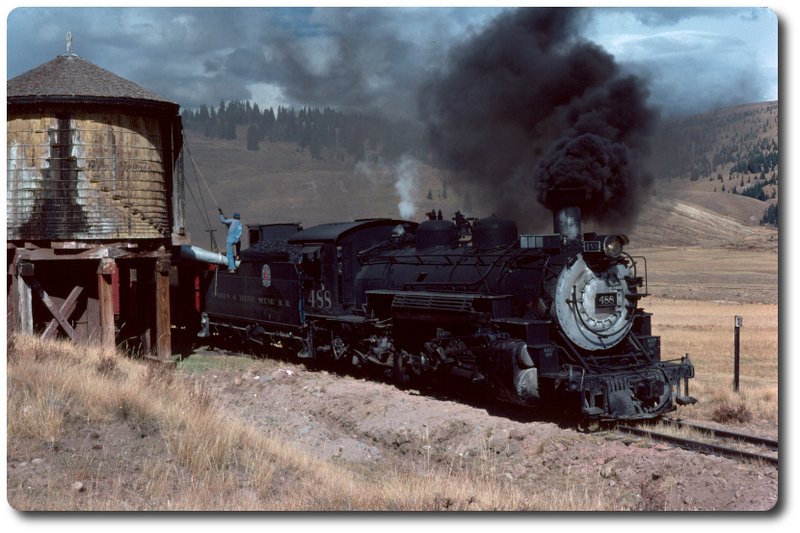 It turns out that an Ohio railfan, Jim Marcus, had set up his movie camera next to the 2 % grade of lower Bocea Hill and had oiled the rails to get some dramatic shots of the hard working engines spinning out. The engine crews ended up using all of their sand supplies without getting past the oiled stretch, and finally backed to Carbon Junction where bags of sand were brought from Durango. They did get through on their second attempt. I followed the train to Gato and then drove around to Monero, where I switched to Kodacolor film. Some of the print photos at Monero are attached. Tuesday, August 16 --Engine 487 ran light to Gato as helper. 498 with Andy Payne as engineer took the westbound train. I decided to chase the westbound as far as the Navajo tank and bridge. After Dulce I was following speeding Jim Marcus where the dirt road had the track immediately on the left and an embankment on the right. As Jim Marcus passed the 498, Andy Payne opened the blowdown valve and visibility instantly dropped to zero. I tried to remember which way the road turned and slammed on the brakes. Luckily I didn't veer into the train or the embankment. That was the end of my eastbound chase, happy to be alive. Re: '66 Ops - and a new year's eve puzzle . . .